Celegon - Rototranslating door systems — International Prodimex - Italian handles and fittings. Celegon S.r.l. is an Italian company specializing in the manufacture of hardware systems for doors and furniture. Our specialization is the development and industrial production of original systems for the sector, in partnership with established specialist designers. 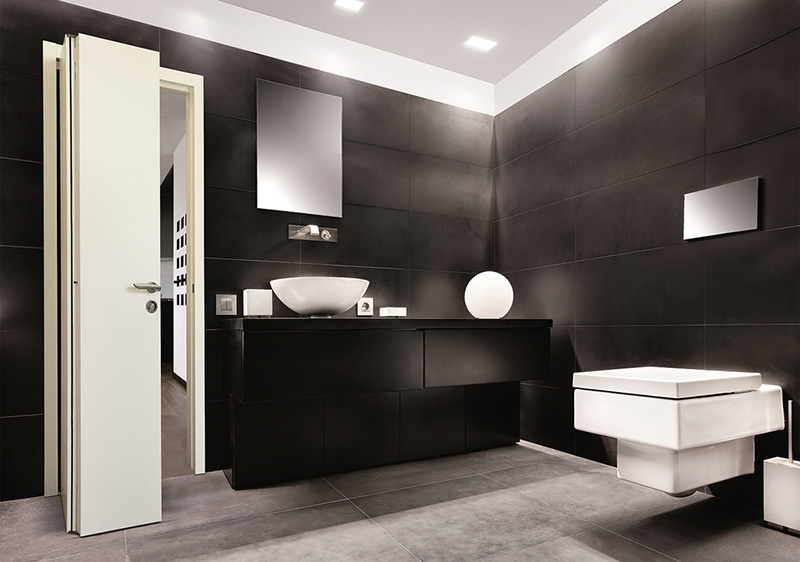 Celegon has developed and distributed Ergon® - innovative opening technology for interior doors and furniture. Ergon® has made the indoor world a better place, with opening systems that improve access and make the most of interior spaces. Today the patented Ergon® Living S40, Ergon® Living T.E., Ergon® Community and Ergon® Ocean systems accompany the worldwide distribution of the specific Ergon® opening technology. This success is due to the exceptional reliability and design of the product, and careful attention to customization of the systems. Today Celegon unveils a new opening solution for interior doors and cupboards, the fruit of its long co-operation with Massimo Bonetti design: Compack Living. Here is another reliable mechanism devised and developed for ease of use. The leaf folds away to the side or in the conventional position at right angles, eliminating the use of tracks or rollers. Click on any cover to download the respective catalogue.